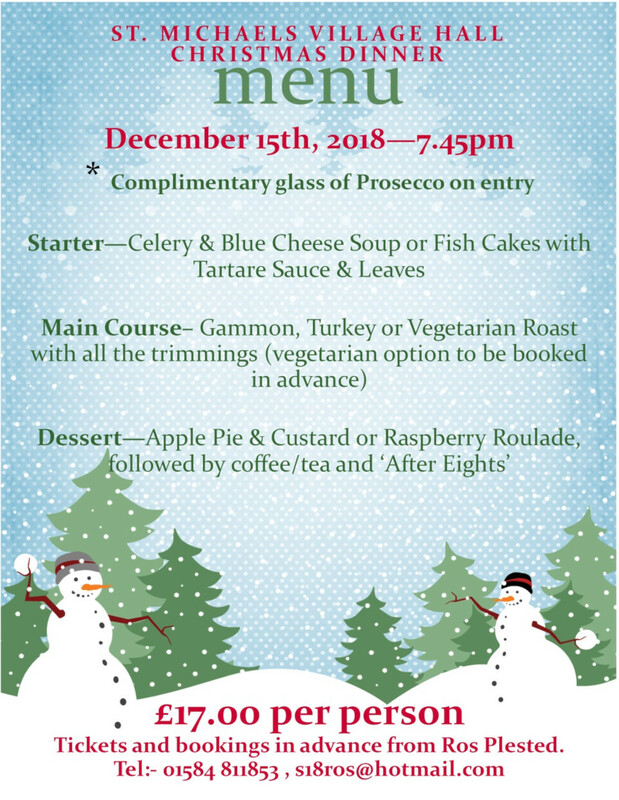 Christmas Dinner – © 2018 St Michaels Village. St Michaels Village Hall is a registered charity. Charity No. 1023457.